For our book on weighted blankets, I did a 2015 survey of occupational therapists (OTs) about weighted blankets, with over 300 respondents. My co-author, OT Cara Koscinski, and I wove the survey results into the book. What is your practice setting? From your knowledge, what disorders have a weighted blanket helped? What results have you witnessed or have been reported by caregivers? How long do you advise keeping on the weighted blanket? What weight of blanket do you advise? 1. What is your practice setting? 2. From your knowledge, what disorders have a weighted blanket helped? Working with preschoolers I now rarely recommend weight blankets. Because of safety issues and body size of the children I work with. 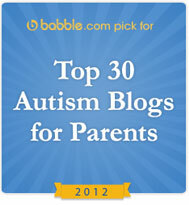 Where parents have highlighted a usefulness it tends to be hit and miss, ie some kids liked them and some kids didn’t. urrent recommendations from British Association and lit searches by a colleague here in the UK question their efficacy. The disorder is less important than the symptoms. 3. What results have you witnessed or have been reported by caregivers? At times, people feel claustrophobic or uncomfortable – especially with certain trauma histories. The blankets are in the facility however new to this setting. We are in the process of getting medical approval. One child started pulling blankets and pillows on her at home as we use the blankets at school during rest period only. Varied but more none than positive. This varies per individual. Some kids have had no changes in their sleep or calming with use. 4. How long do you advise to keep on the weighted blanket? Sometimes if weighted lighter, through the night in the beginning, it depends on the child and some like it longer and others not so long. The body gets use to the input…change it up. Depends on the circumstances. Some may purchase for home use, in which case it could be used while sleeping as long as the weight is appropriate for the user. I work with young children and other weighted items I limit the wearing time but most of my clients like to use the weighted blanket for naps and all night use and children seek it for longer durations as long as the client is verbal and can remove the blanket themselves. Depends on the child and situation. Either for particular activity or in the case of difficulty falling asleep, remove after child is asleep. Short periods of calm seem helpful during the school day. also not enough time to habituate. I have found that if it is used for longer periods of time, my students acclimate to it and it loses effectiveness. I have no recommendations for my own son, he is 13 and can regulate taking it on and off. I have used weighted lap pads in clinic setting for as much as 15 min for table top activities most of those children are able to tell me that want it off or on. I instruct client/caregiver the premise and theory behind the weighted blanket recommendations and instruct them on behaviors that can guide the use of it; and of course respect the Inner Drive towards homeostasis. We trial most of this in the clinic before families spend money for one. Still unsure what the correct time is. My son had difficulty unwinding at the end of the day. His weighted blanket helped him calm and sleep at the end of the day. I have not heard of any protocol for weighted blankets like there is for a weighted vest. I have been told that because of the even pressure it provides it can be used for longer periods of time. Depends on what I am using it for. I have had students use it for extended periods of times 30-45 minutes if we are looking for calming and it seems to work. 10-20 minutes for regrouping/organization prior to interactive activities. The body accommodates the weight. Varies between children. If a child can easily remove it and / or recognizes when they have achieved optimal benefit, I allow them to use as long as they want. I have children that either aren’t aware of temp or don’t regulate their temp so I am cautious with allowing longer than 20 min. I also consider the differing opinions regarding habituation concerns. 30 minutes or until child’s tolerance level is reached, don’t want to wear too long or they will no longer benefit from it because body with adapt. The person knows their body best. If sleeping with it, I recommend it not exceed 10% of their body weight, they can free themselves of it, and they minimize other blankets as to not overheat. If used at school, shorter durations since the ultimate goal is to get the student back to class/instruction. I will send back with a weighted lap pad as needed. If it helps a child sleep, then I would allow them to sleep with it. If it’s during a treatment session, I just gauge the time according to the child being modulated. 5. What weight of blanket do you advise? We typically use a twin size blanket of 15 lbs for the majority of our children that sleep in a twin size bed. We also have a crib size of 8 lbs. Consultation with OT regarding weight. This is recommended but I have not found any quantitative research to back this up. Also client driven from trial and error during treatment time. I use the measurements specified by the company I’m/they’re buying from based on the size of the child. I make and sell weighted blankets. Generally 4 pounds for a preschooler and 8-10 pounds for an elementary through high school student. I was not an OT at the time I made my son’s weighted blanket. I made it much heavier that protocol advises – but he LOVED it! He was highly sensory seeking. Adjust for personal preference, but sometimes more or less depending on need /condition of student. I start there and work slightly up or down until I find the optimal amount. 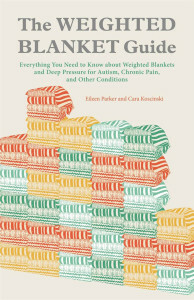 Pre-Order The Weighted Blanket Guide!